Our miniature pinscher has dedicated his life to protecting me from everything and everyone. It doesn’t matter how close or far they might be, if he can see you, you are a danger to his Momma. I think he prays for danger – he wants to show the world how rough and tough he is in pursuit of mission to protect me. 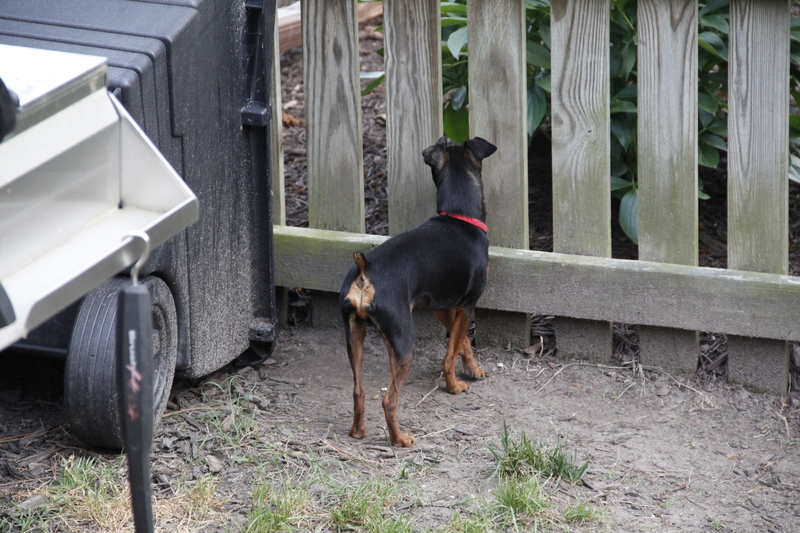 Here he is standing guard at the fence, looking to see if there is anyone – anyone at all – that he can bark at and warn away. Word for tomorrow – WANTING. If you prefer to work ahead, see the list for the week under “A Word A Day”.